This pregnancy I am so lazy! The evenings are the hardest. Of course that is when my family is expecting me to help them the most. So I finally decided it was time to start digging around for some new recipes. Not just any recipes though. Recipes that didn’t require lots of work. I stumbled upon some easy crock pot recipes and thought I’d give them a try. The first one I made was Herbed Chicken with Wild Rice Recipe from Taste of Home. I liked that most of the ingredients I actually had on hand. In the fall I generally start stocking up on my spices for cooking again and replacing the old ones. First pour the rice in the bottom of the crock pot. Just the rice though, not the seasoning packet. Place that aside. Next slice up the mushrooms. 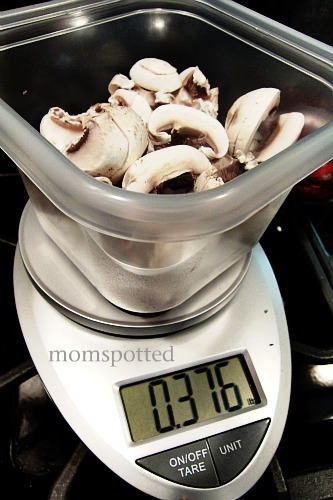 I grabbed my handy EatSmart™ Precision Pro Digital Kitchen Scale since I wasn’t sure how else to weigh them. If you don’t have a scale the full package was just under it. To make sure I had even slices I used my egg slicer to cut them up. I love this thing and use it for so many more things then just eggs. 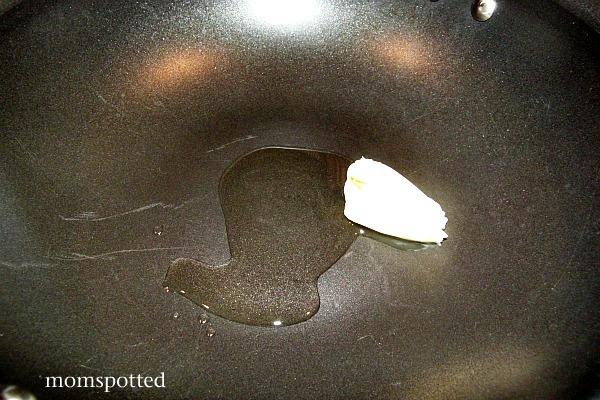 Next, take a skillet and add the butter and oil. Place your chicken in and cook just to brown both sides. Once done layer the chicken on top of the rice in the crock pot. If you notice my pieces were thick and still raw in the center. 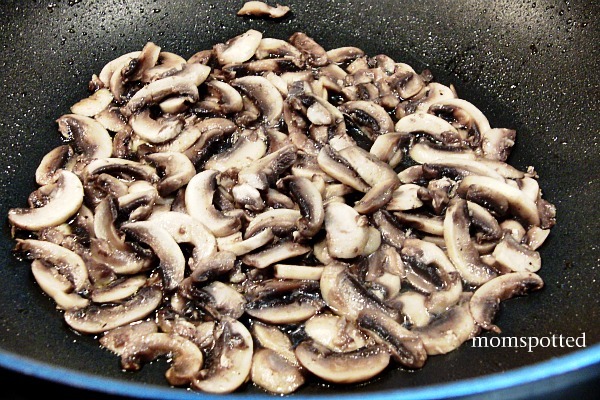 With the left over oil and butter in the skillet toss in your mushrooms. Layer on top of chicken when done. Next take all the remaining ingredients including the seasoning packet from the rice. If you notice I didn’t use bacon slices. Instead I bought Hormel Bacon Pieces. I don’t like making a mess of my stove top with the grease of bacon and found that these are delicious and work well in recipes. Plus, they cost the same as a package of bacon. Stir them all together until it looks like this. 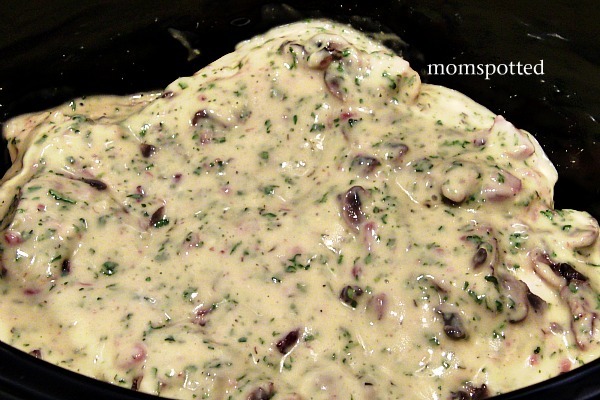 Pour over the mushroom and chicken. Cover and cook on low for 4-5 hours. When it’s done you’ll be left with this delicious meal! The husband and the kids all raved over this meal. It was super easy and I loved it too. 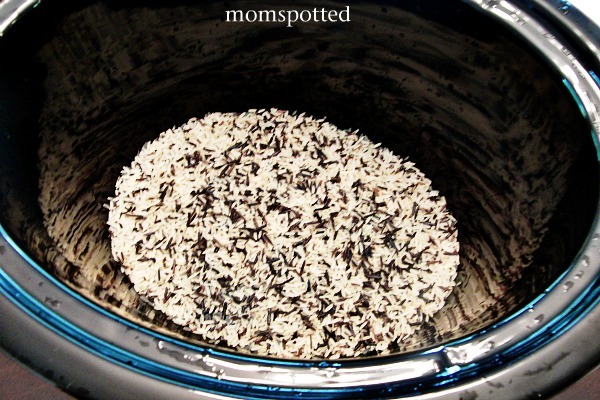 Place rice in a 5-qt. slow cooker; set aside seasoning packet. 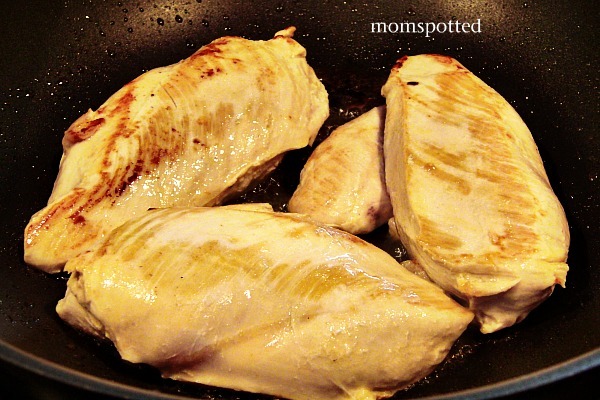 In a large skillet, brown chicken in oil and butter. Add to slow cooker. 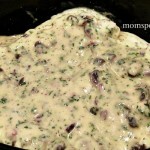 In the same skillet, saute mushrooms until tender; place over chicken. 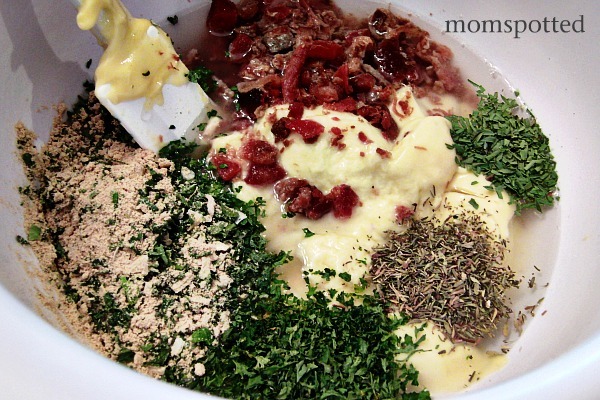 In a small bowl, combine the soup, water, bacon, herbs and contents of seasoning packet. Pour over top. Cover and cook on low for 4-5 hours or until meat is tender. Yield: 6 servings. I am going to look in my cabinets and see if I have this stuff. Man, my family would love something like this! That looks super easy and made with mostly things I already have. Thanks for the recipe! I have supper going in the slow cooker right now. I’m definitely going to save this one for later. It looks delicious & I have most of the ingredients on hand. Thanks for sharing! Sounds YUMMY! I will be using my slow cooker tomorrow, but I am making a roast with lots of potatoes and veggies. Looks good! I saved your recipe so I can try to cook this next week! 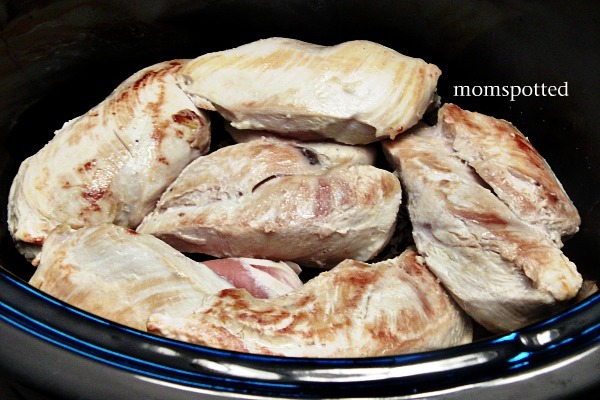 Your recipe looks too good for words…I’m making a pot roast in my slow cooker tomorrow. I will try your recipe next week for sure! OMG that looks amazing. I’m SO hungry right now! 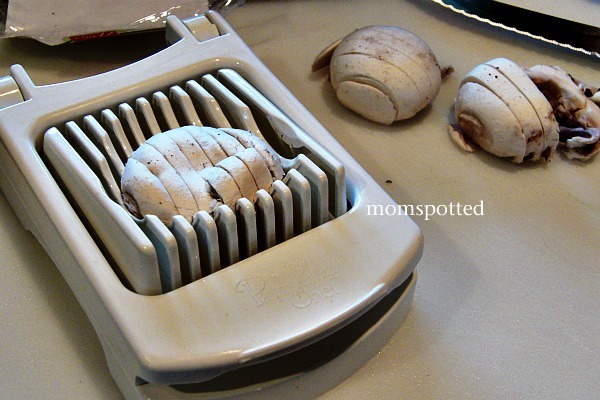 This is in my crockpot now!! I had to tweak it a bit because I can’t use cream soups (my son is lactose intolerant), but everything else is the same. It is smelling soooooooo good. 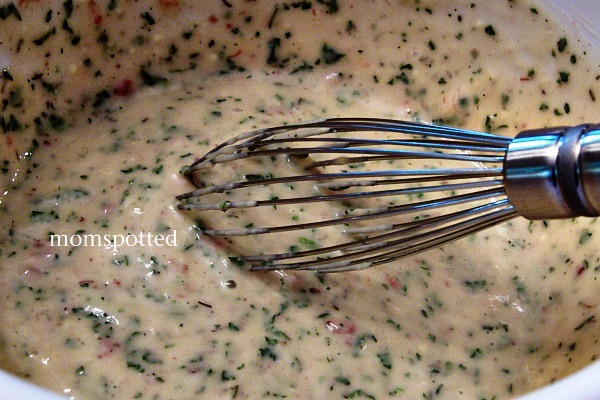 Very glad you shared this recipe. Cant wait for dinner! I made this for dinner tonight and it is SOOOO good!!! Thanks for the awesome recipe! This looks yummy and pretty easy to do. Thank you for sharing. 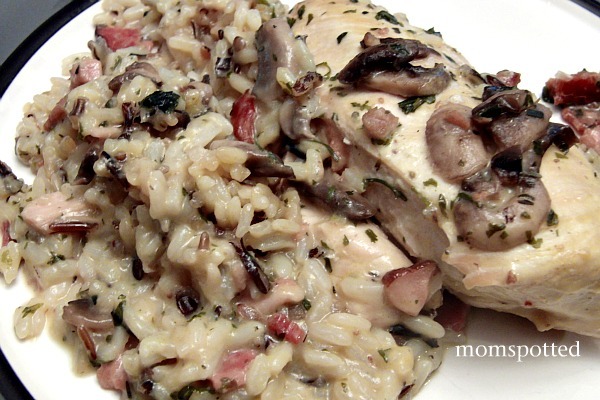 What a wonderful chicken and rice recipe that you can put in the slow cooker. I will be trying this out on my family as they love chicken. Anything slow cooker is wonderful. This looks like it would be a huge family hit. Thanks for sharing.